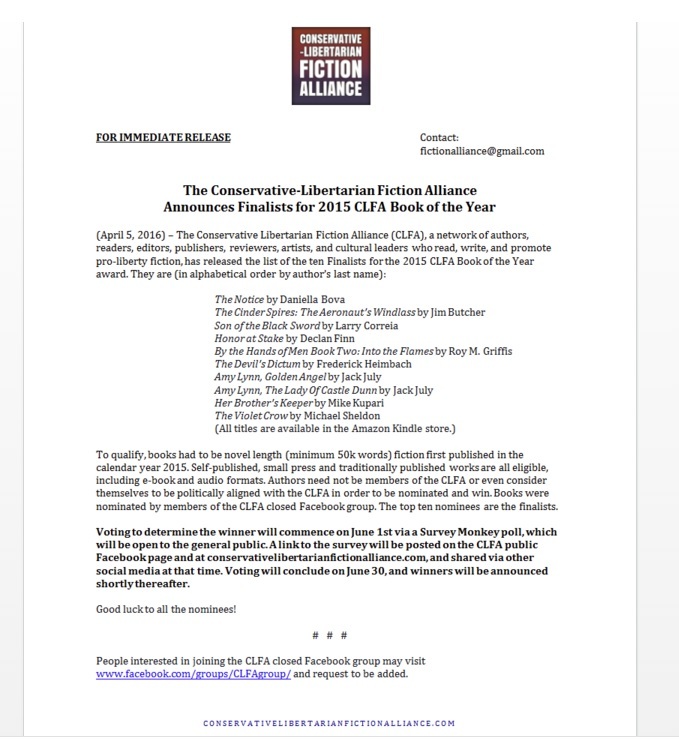 A Pius Geek: CLFA Book of the year a #SadPuppies variant? I've made mention of the CLFA on my show often enough so that I can say it's no secret. But I'm a part of the organization. So, fun is had by all. So, yes, once again I am locked in mortal combat with the mighty Butcher and Correia. I will probably also get my head handed to me. You might also know a few names on the list: Heimbach, July, and Bova have all appeared on my radio show. And I've reviewed books by both of the latter. So, this is going to be amusing. And ... no ... I didn't answer the title question. It was total clickbait. Sorry about that. But it was honestly the best I could come up with. Congrats on making the list of finalists, by the way! Oddly enough, I always thought I was humble enough to know that my books weren't worth plugging for awards. And NOW I'm trying to figure out if I was being modest without realizing it. I have actually heard of the Dragon award. I just need to know what to do about it.